OK, best to start with my cards on the table. I am a smoker, I have been for around a quarter of a century (with a few brief flashes of willpower in between) and I work in the pub trade. You could say that these factors cloud (no pun intended) my judgement on the issue of smoking bans, whether the existing public places restrictions or a suggested ban on smoking in cars, and you’d probably be right. Nevertheless, I know smoking is daft, I know it’s unpleasant for non-smokers and I don’t believe it’s fair for parents to make their children suffer the muck they exhale. Having said all of that, I can’t honestly say I was an enthusiast for the smoking ban when it came in in 2007. As the manager of a rural pub with a predominantly food-led trade we took the decision to become completely non-smoking some months before the ban came into effect, and our customers were (largely) grateful for it. But I always felt that establishments such as ours should be free to choose their own policy. Ultimately I always believed that such things would be, to use the jargon, ‘customer-led’ and that government interference would not be necessary. 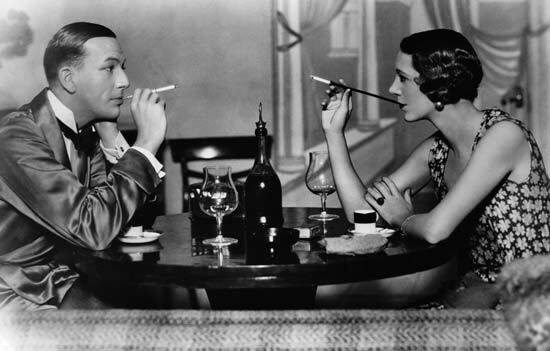 By the time of the ban there had certainly been a change in public attitudes towards smoking, and those pubs that didn’t examine what they were doing were in danger of being left behind – in the end people would have a choice, and no business wants to be on the wrong end of such a choice. Of course, the ban in pubs did have another aspect and that was the protection of staff. Whatever one’s views on individual freedom there was a strong case to be made that the generally poorly waged should not be forced to breathe others’ smoke simply to earn a living, and that should be one of the reasons most pubs would never go back in the unlikely event that the law was ever repealed. No such logic is present in Jersey’s deliberations on whether to ban smoking in cars. Few would argue against such a ban when children are present (although it seems an alarming 16% don’t feel compelled to agree) but it’s difficult to understand why individuals in private cars should not be free to smoke if they choose. Regardless of what those in favour of a ban say, it is not the same as using a hand-held mobile – unlike a phone you can still hold a steering wheel with a cigarette in your hand. Besides, even if you do make the case that smoking is a distraction, where do you draw the line? Is eating a travel sweet a clear and present danger? Should you really have the radio on or, heaven forbid, switch stations? Perhaps I’m a little paranoid. Maybe I’ve adopted the seige mentality propagated by the tobacco lobby. But there will be many on the mainland who watch the Jersey experience with interest with a view to changing the law here. I suspect that few of those people believe, as I do, that individual freedoms should be maintained provided there is no demonstrable harm to anyone else. We’ve come a long way from the days when advertisers used to tell a credulous population that “more Doctors smoke Camel than any other cigarette” and that is unquestionably a good thing. A smaller percentage of the population smoke now, and those that do are left in little doubt that their addiction tends not to be viewed sympathetically by the majority. I can handle being a social leper and I’ll keep going with my feeble attempts to quit. But I do think the choice should remain my own, provided I don’t restrict anyone else’s options. It will be interesting to see what Jersey’s powers-that-be conclude. I’ll finish off with one of my favourite magic clips, which has very little to do with the arguments around smoking bans but is hugely entertaining all the same. This is an American magician called Tom Mullica who used to perform this ‘trick’ throughout the eighties and nineties. Understandably his doctors were never too enamoured with his performance, but the good news is he subsequently gave up smoking. He now reports that he can obtain health insurance for the first time in his professional life. 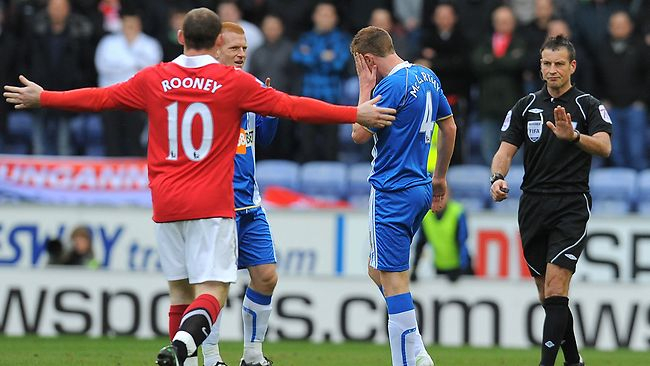 To the great surprise of just about no one, the FA and referee Mark Clattenberg have ducked out of making Manchester United’s Wayne Rooney face charges for his blatant elbowing of Wigan’s James McCarthy at the weekend. Regardless of the rights and wrongs of the FA’s somewhat strange procedure in cases such as these, it does seem rather odd that such a clearly obvious attempt at assault is able to go unpunished. It’s probably fair to say that I’m not Rooney’s greatest fan. Talented though he is, you’d have to go a long way to find a more over-hyped player in the already never-knowingly-undersold English Premier League. Witness, for example, the wall-to-wall coverage of his overhead kick in the Manchester derby recently – undeniably a great goal, but overseas players frequently produce such feats with only a fraction of the fanfare – or the continuing media obsession with a colourful private life which is, nevertheless, private (or at least, should be). Of course, it can easily be said that these factors are outside Rooney’s control. He doesn’t choose the headline writers’ puns, either front page or back. What is his responsibility, however, is his behaviour on the football pitch. Rooney continually cuts a tormented figure, as if his entire life story is one of endless persecution by ‘The Man’. Every decision by a referee is met with a volley of Anglo-Saxon, a scowl or a plain, unadulterated tantrum. He chips away at opponents, bellows at linesmen, lashes out at corner flags and has now managed to add common assault to his less than glorious repertoire. The argument often given in defence of his antics, not least by his supremely over-indulgent manager or the likes of previously sane journos like Paul Wilson, is that if you take away Rooney’s dark side you lose the part of his game that makes him ‘special’. What complete neanderthal rubbish. Why should we expect talented footballers to automatically behave like petty thugs or indeed excuse the few that do? It was never the case with Thierry Henry, Kenny Dalglish, Trevor Brooking or countless others. Lionel Messi doesn’t rely on assaults to the head to keep his genius ticking over. Yet we’re constantly told that Rooney’s precious talent makes him a special case. Without necessarily going down the route of conspiracy theory to explain why Manchester United often seem to receive different treatment from the authorities, I do sometimes despair that anyone will ever summon the courage to tell Rooney to pipe down. Referees, managers, sports writers – all seem to develop a blind spot when it comes to the behaviour of England’s ‘Great Hope’, but seriously people, can someone have a word?